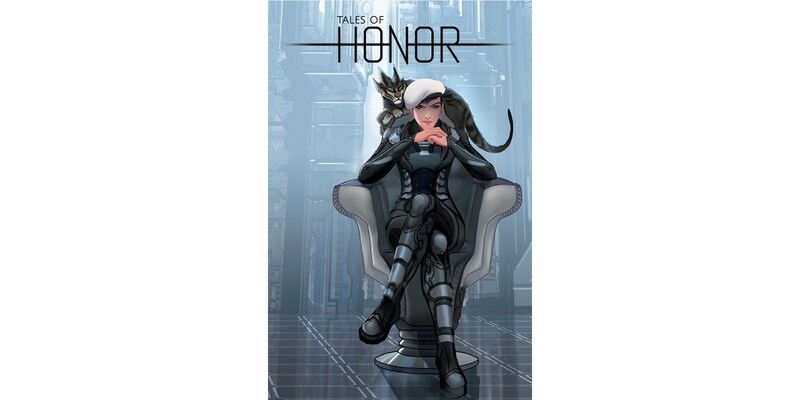 Join the Honorverse on Facebook and Twitter, or visit www.Tales-of-Honor.com and check out the Tales of Honor Secret Fleet mobile game. Evergreen Studios is a visionary production company which finances and develops premium content, and builds narrative worlds for theatrical, television, comics, web, mobile and video game platforms. The Los Angeles based company is best known for its unique development skills and proprietary technical offerings. Continuously working with franchises to extend the consumer experience and tell stories beyond their native platforms, Evergreen has also taken its science fiction franchise, TALES OF HONOR, based on the New York Times bestselling Honor Harrington novels, to Top Cow Productions/Image Comics, as well as to mobile with the game release of The Secret Fleet. Always looking to push boundaries, the team at Evergreen is committed to creating and delivering the best products possible while maintaining the integrity of each brand or franchise.